Learn the art of video editing from the comfort of home. If you're interested in a career in video editing, you'll need to master Adobe Premiere Pro CC. Get up to speed on this top video editing software with Adobe Premiere Pro CC MasterClass: Video Editing Made Easy. This top-rated course typically costs $200, but it's currently available for 89% off at just $21. No matter what industry you'd like to work in, conquering Adobe Premiere Pro CC will get you that much closer to your dream job. The software is used in all kinds of video production, from business and marketing videos to music videos and documentaries. Learn the basics of starting a project, editing videos, adding video and audio transitions and titles, and much more with this informative class that's perfect even for beginners. These 59 lectures are available at any hour of the day, so you can learn at your own pace and become a video editing pro from the comfort of home. 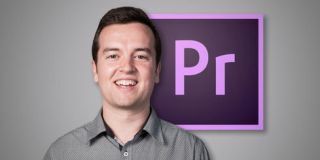 Snag the Adobe Premiere Pro CC Masterclass: Video Editing Made Easy for just $21 here.